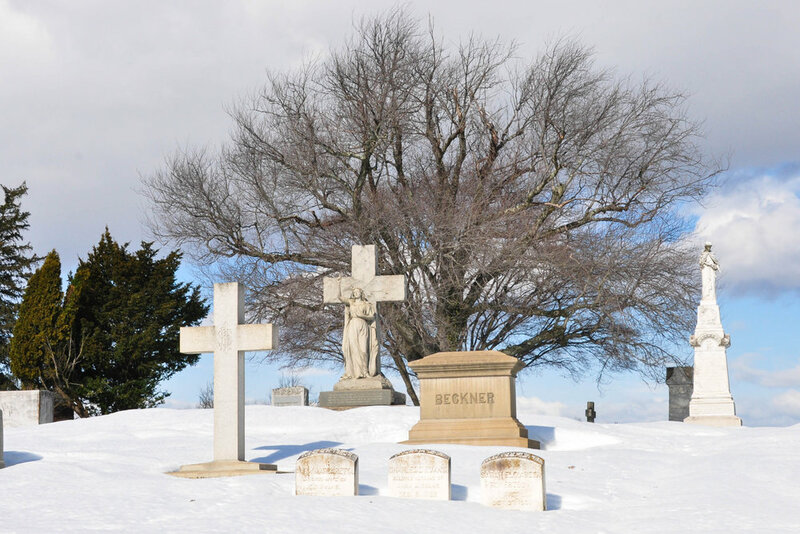 Baltimore sculptor Hans Schuler left a lasting legacy throughout Baltimore, including in several cemeteries. 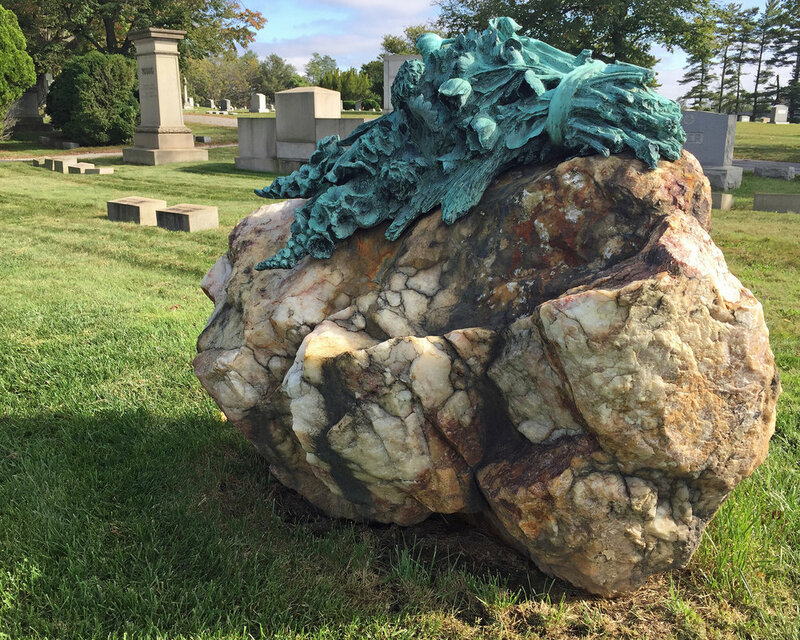 When long-time Baltimoreans think of Druid Ridge Cemetery in Pikesville, they often reminisce about Black Aggie, the sculpture of a shrouded woman that started the city's most long-standing urban tale. Who would forget about a grave marker with the hair-raising reputation for causing blindness, miscarriage and even death to those who visit it after dark? However, Druid Ridge Cemetery's founders envisioned a much more dignified reputation for the cemetery they built on Annandale, a peaceful estate several miles north of Baltimore. Previous owners of the estate included Charles Harrison a dairy farmer who was wealthy enough to purchase the first McCormick reaper in Maryland. Later, Charles Tyler, a Baltimore cracker factory owner, purchased the property, but soon sold it to cemetery investors. A drawing of Annandale, residence of Charles K. Harrison of Pikesville. It was located on the present site of Druid Ridge Cemetery. Toward the end of the 19th century, Baltimore’s clergy and community leaders had watched in dismay as church and local graveyards lost out to urban development and general neglect. 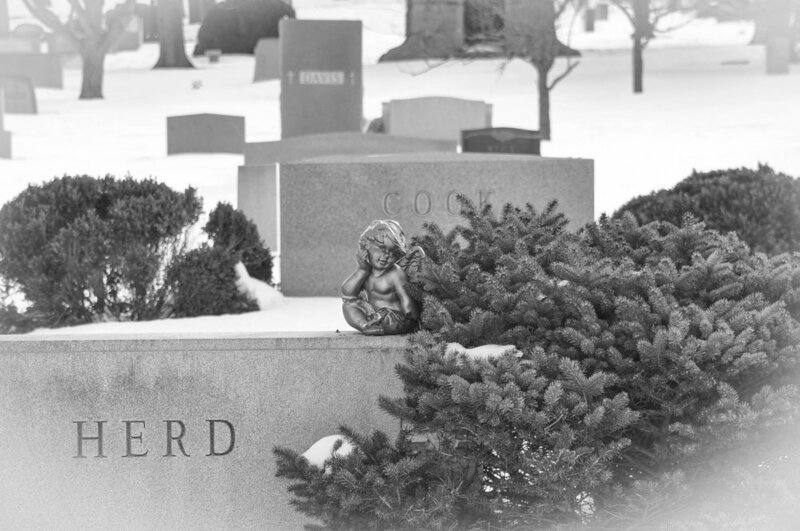 Druid Ridge Cemetery would be a place where they hoped families could bury loved ones away from urban sprawl. When Druid Ridge Cemetery was dedicated on June 11, 1898, its trustees reassured those in the audience that this cemetery would stay forever intact and forever an oasis. The concept of perpetual care was so new at the time that a contingent of clergymen and business leaders from New York, Philadelphia, Boston, Erie and other cities travelled to Druid Ridge Cemetery to witness the day, many by way of the opulent Royal Blue B & O Railroad passenger train into Baltimore City. During the early 1900s, Baltimore sisters Etta and Claribel Cone travelled the world while accumulating one of the world’s finest modern French Art collections for their side-by-side Bolton Hill apartments. They donated most of it to the Baltimore Museum of Art. Though known for owning the Baltimore Ravens at one time, Art and Patricia Modell supported many of the city’s cultural institutions including the Lyric Opera House, Walters Art Museum, Baltimore Museum of Art and Baltimore Symphony Orchestra. Rosa Ponselle considered one of the best operatic sopranos of the past few centuries. With little voice training, the former vaudeville singer became an overnight sensation in the 1918/19 season at the New York Metropolitan Opera. Luciano Pavarotti once described her as "the Queen of Queens in all of singing." Her nearby Green Spring Valley estate, Villa Pace, was a place of refuge for her and friends after her intense 21-year stage career. Verda Freeman Welcome, a teacher, civil rights leader and Maryland state senator. Early in life, she worked as a community activist to improve conditions for African Americans. Met with frustration and prejudice while trying to make change, Early in life, she worked as a community activist to improve conditions for African Americans. Mrs. Welcome ran for state political office because she felt she could affect better community changes by doing things herself. Welcome was the first African American woman to be elected to a state senate. Virginia Hall was a Roland Park County School graduate who was an American spy with the British Special Operations Executive during World War II. She was known by aliases that included "Marie Monin", "Germaine", "Diane", "Marie of Lyon" and "Camille." The Germans gave her the nickname "Artemis." The Gestapo reportedly considered her "the most dangerous of all Allied spies".